The site of an explosion of the Energy Transfer Partners Revolution Pipeline, Center Township, Beaver County. "It was something that you don't ever want to hear," Belczyk said. "It shook the whole neighborhood." Officials believe a landslide caused by heavy rains led to the explosion of the 24-inch pipeline, owned by Energy Transfer Partners. The pipeline had been in operation for only a week. The fire destroyed a neighbor's home, but no one was hurt. 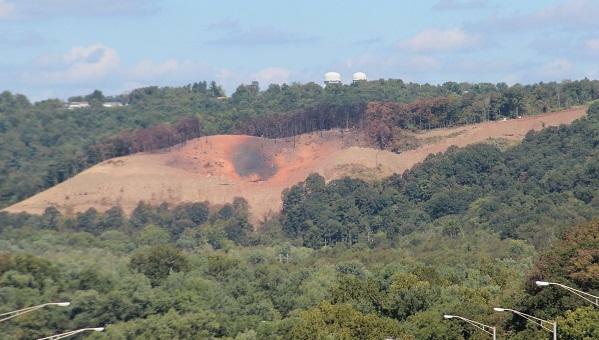 During the months the pipeline was under construction, Belczyk wasn't happy that it was so close to his house, about 100 yards from his back door on Ivy Lane in Center Township, Beaver County. "What are you going to do?" he said. "This is where you live. If we owned the property it might have been a different story, (but) we had no say-so." Chuck Belczyk, of Center Township, Beaver County, lives 100 yards from the Revolution Pipeline, owned by Energy Transfer Partners. It turns out no one -- no federal, state, or local government -- has much of a say-so in where pipelines like this one can go. That's because of a hole in the patchwork of federal and state regulations that oversee pipeline construction. But the Revolution doesn't cross state lines -- it only carries gas from Butler County to Washington County. For Pennsylvania-only pipelines, siting regulations only come into play when the route crosses a stream or wetland. In February, a Commonwealth Court panel of judges ruled municipalities can't control siting of pipelines through zoning. The judges said that authority ultimately rests with the Pennsylvania Public Utility Commission, the state's main regulator for pipelines. But the PUC says state law doesn't allow it to oversee siting, and it would need action by the legislature to do so. Andrew Place, the vice chairman of the commission, thinks the PUC -- or some state agency -- should have siting power for pipelines, just like the PUC does with overhead powerlines. "If I'm a township and I've got a 20-year plan of where my roads are likely to go or where shopping districts might go or where housing might go, I have an interest in the sort of infrastructure pieces coming through my township," Place said. "You can look at the broader questions," Place said. "(We can ask) what's the most protective of the environment and human health path you can take, and select that." 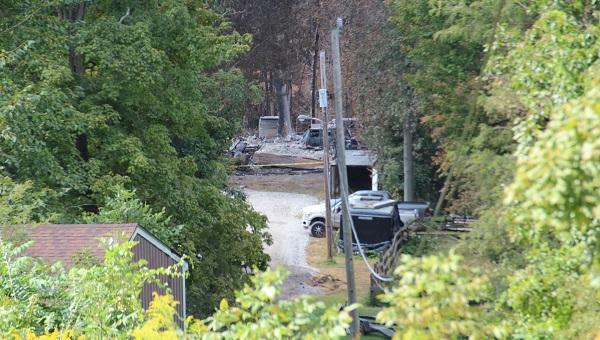 The remnants of a home and garage destroyed by the explosion of the Revolution Pipeline. "Because the state has no siting authority, the PUC essentially lets the pipeline be built wherever the company wants it to be built," Dinniman said. "Hopefully, by granting some siting authority, it will force the PUC to ask the questions they should be asking anyway," Dinniman said. But it's unclear how far this idea will go. Dinniman's bill remains stuck in committee, and the oil and gas industry is opposed to it. "The benefits are extraordinary and we can't find ways to slow its development. We should be encouraging its development," Spigelmyer said. 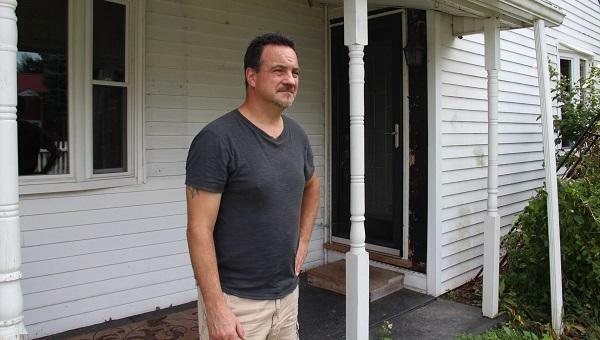 Back in Beaver County, Chuck Belczyk says even if there were more oversight of where pipelines can be built, he's not sure it would do much to keep them away from his neighborhood. "How far do you push that? Are you going to win the battle in the long run? All's it's going to do is cost you time and money. That's the bottom line. How do you fight that?"